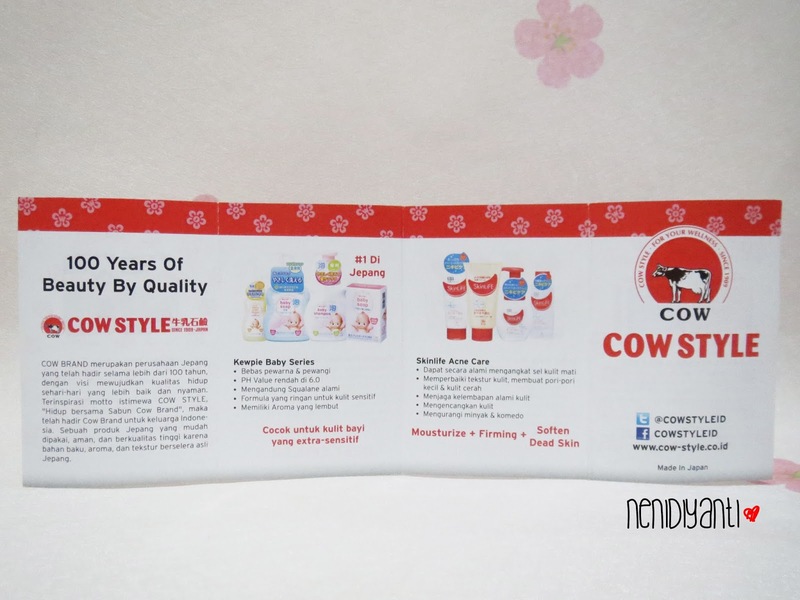 COW BRAND is a Japanese company that has been present for more than 100 years, with the vision to realize the quality of daily life better and comfortable. 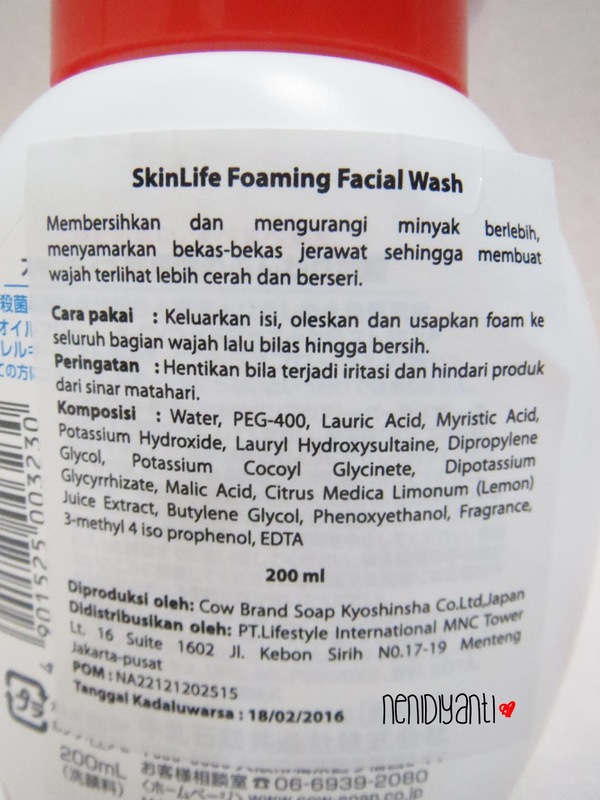 Inspired STYLE COW special motto, "Life with Cow Brand Soap", Cow brand is now present to accompany you to the Japanese products are easy to use, safe, high quality and with raw materials, aroma and texture of the original Japanese tastes. 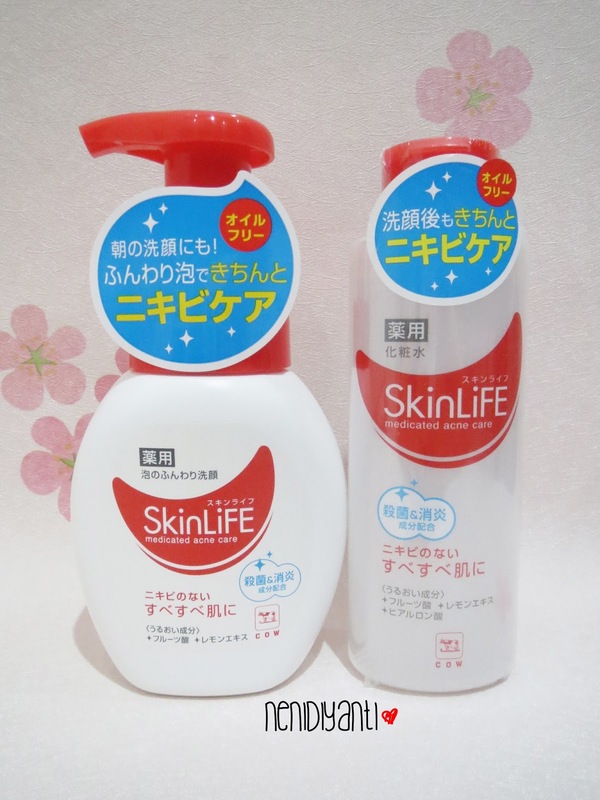 The package consists of two products from SkinLIFE line ; SkinLIFE foaming facial wash and SkinLIFE lotion. SkinLIFE line products claim can help to reduce acne and maintain skin moisture. In this post, I will review about SkinLIFE Foaming Facial Wash. 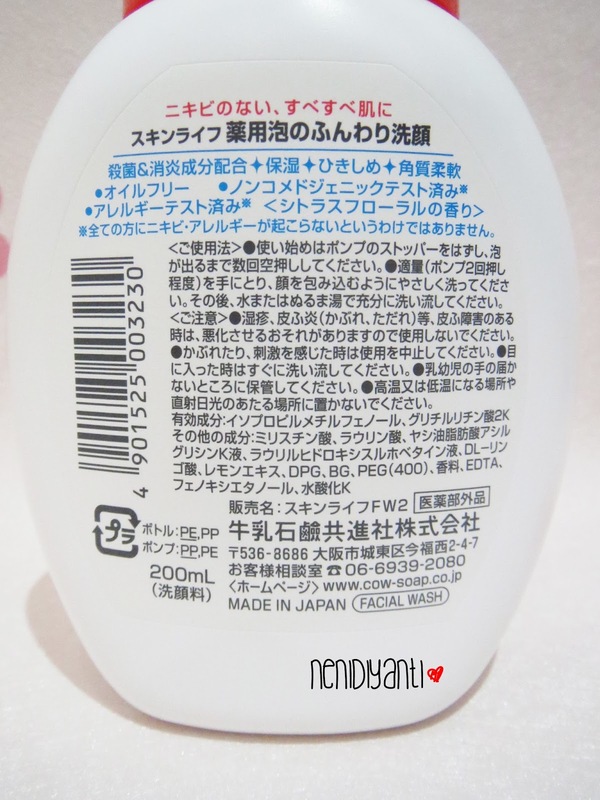 Though this product's origin is from Japan, Cow Brand Indonesia attaches a sticker with brief information in Bahasa on the back of the bottle. It gives explanation about how to use, warning, ingredients and expired date in Bahasa. 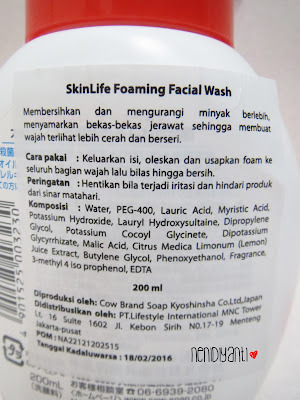 For me, this is the plus point, since it makes the Indonesian customer easier to understand the product. 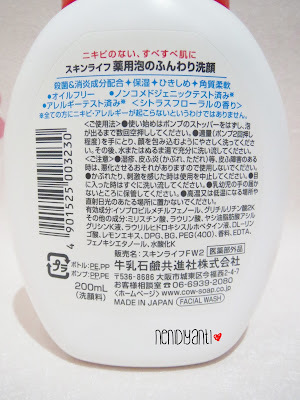 I decided to peel off the sticker and there's a product description in Japanese language behind. 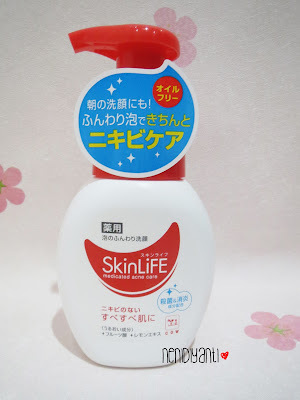 In case you know how to read Japanese language and want to read the product's description in its origin language, I already took a photo of it. As you can see on the picture above, there's a pump stopper (or what should I call it?). 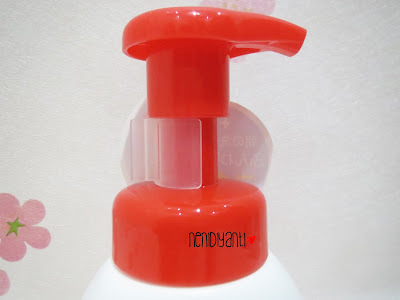 It prevents from inadvertence pumping which can be a mess if you stored it in your bag while traveling.Talking about travelling, this product isn't categorized in travel-friendly packaging (in my opinion). Its size is quite big and will take a (quite) lot of space in a bag. The product also can't be moved into a smaller container (for travelling) since it needs a special bottle which equipped with a foam maker. 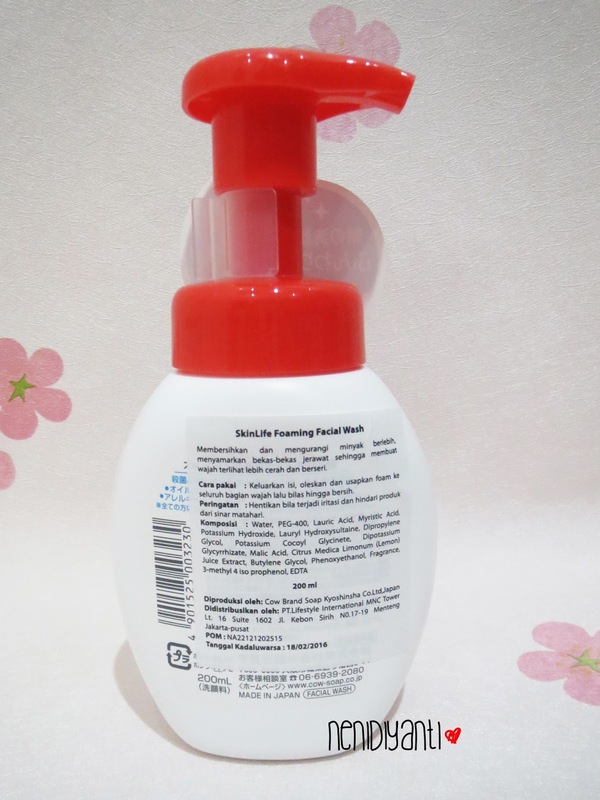 Since this product is a foaming facial wash, the bottle is equipped with a foam maker and will give you foam soap when you pump it. This photo shows you the product amount in one pump. The foam is very soft and gently clean my face. It's easy-to-use since it's already in a foam form after I pump the product out. It smells nice and not too strong. It gives a clean feeling after I wash my face. 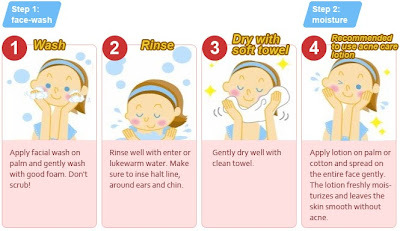 Is it really can help to reduce acne(s)? 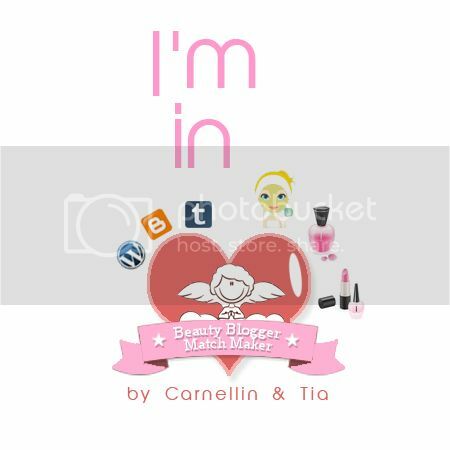 Well, honestly I can't give a proof about it since I didn't have acnes on my face. But it doesn't give me a break out after using the product for exactly a week. After 2 weeks (almost 3), I still don't experience any breakout. But, due to my menstruation period, one or more small acne(s) suddenly popping. 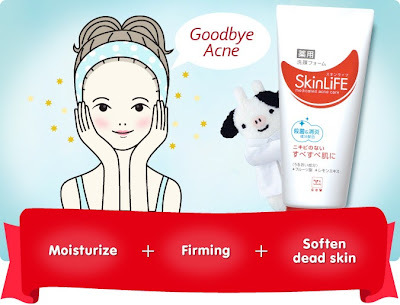 Though I still using this product, it doesn't prevent my face from any hormonal acnes. And about my skin condition, which is dry, this product doesn't make my face feeling more dry. 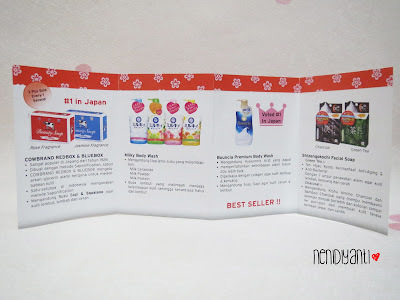 By the way, this product also have refill package. So you don't need to get another bottle, instead you can buy the refill and pour it in your empty bottle. 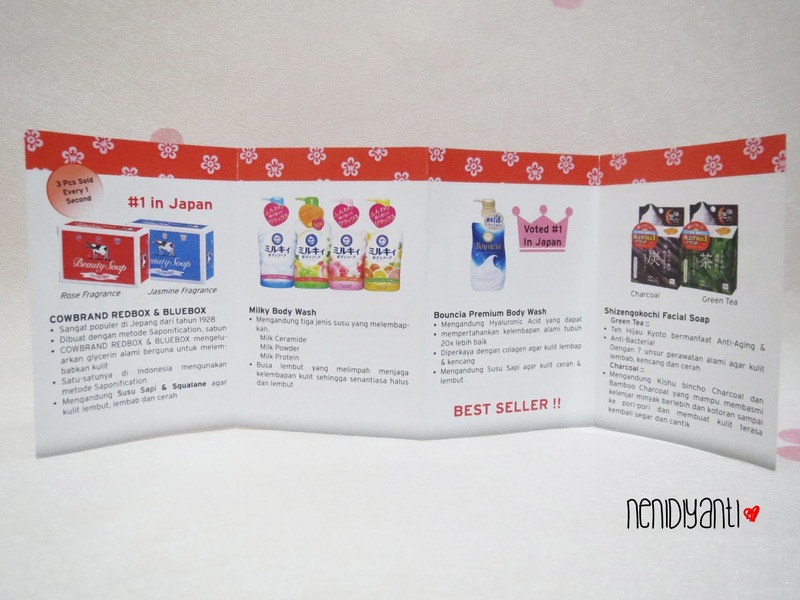 Cow Brand Indonesia also enclose a brochure about their products line. 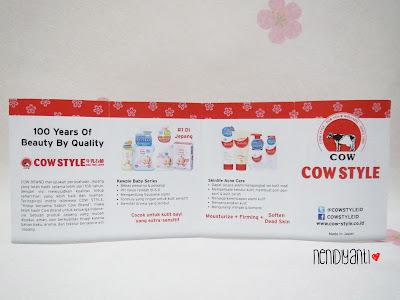 In the brochure is written brief descriptions about all Cow Brand Indonesia's products line.